For your everyday carry needs try the Case Cutlery Star Spangled manual folding traditional pocket knife. Stainless steel, clip point, blade has a mirror finish, a "USA" blade etch, and nail nick opener. 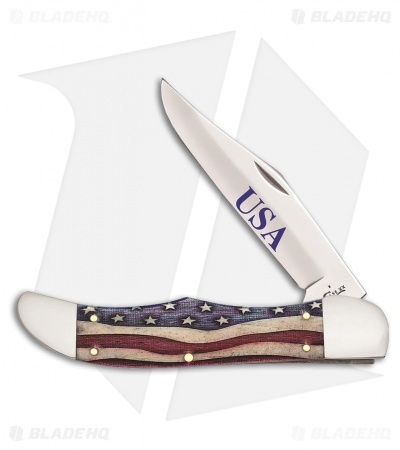 Star Spangled Banner natural smooth bone handle that features nickel silver bolsters.